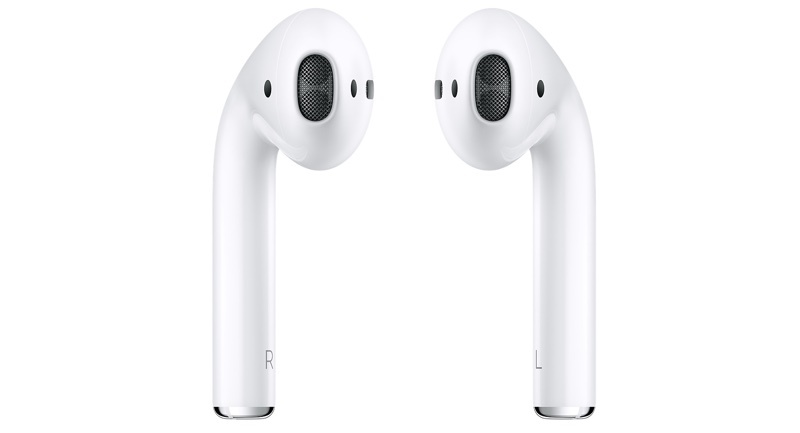 Apple's AirPods and AirPods 2 include a feature called Automatic Ear Detection that allows the audio routed from a connected device to seamlessly switch to the AirPods the moment you put them in your ears. This means the AirPods can automatically pause the audio track when you remove them, and resume playback when you put them back in again, ensuring you won't miss a thing. 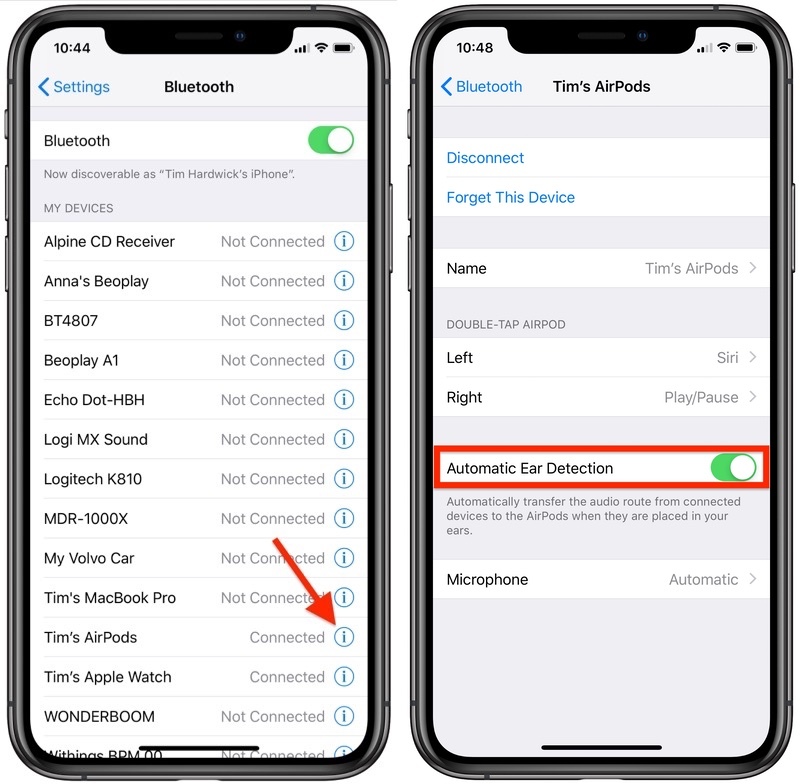 The feature is enabled by default, but if you want to you can manually disable it once you've connected the AirPods to an iPhone or iPad. Just note that once you do, you'll have to manually play/pause audio routing to the AirPods. On your iPhone or iPad, launch the Setings app. Under the My Devices list, tap the circled "i" icon next to your connected AirPods. Toggle off the switch next to Automatic Ear Detection.